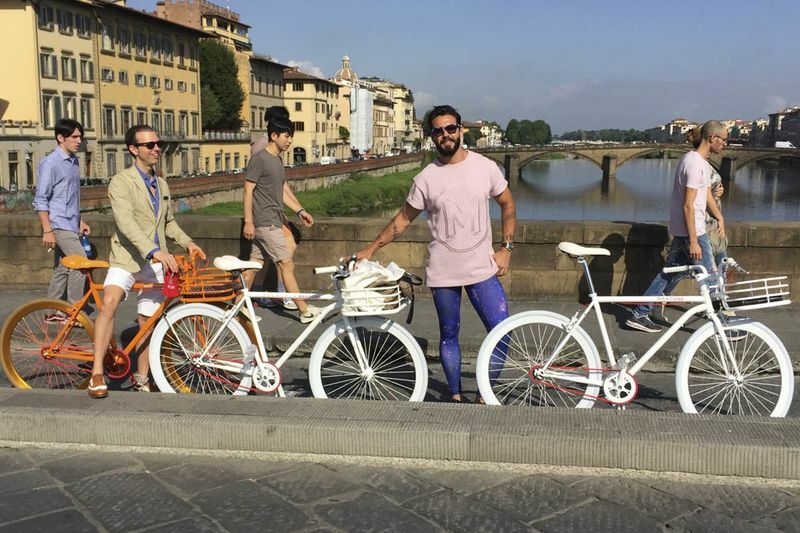 Lorenzo Martone made his name as publicist for such models as Victoria’s Secret angel Alessandra Ambrosio before turning a passion for bicycles into a successful business. In 2012, he started Martone Cycling Company, selling luxury bikes and accessories online and at such stores as Los Angeles’s Fred Segal and Colette in Paris. Martone’s latest product is a limited-edition rose-gold model of his standard MCC bike. Always have an emergency kit and make sure it’s stocked with these four things. And I pack my “What if I bump into a crazy rich friend with a jet?” kit. It consists of some scandalous swimming trunks—I’m Brazilian, so I’m very comfortable in Speedos all day long, and I’m not ashamed of going to the supermarket shirtless—and my sunglasses and hangover pills, Engov. You can buy them over the counter in Brazil, in a gold package that looks like a condom package. You’re supposed to take one before you start drinking and another one after, but it’s really hard to remember. I take one when I’m feeling the pain of the hangover, and it always works. I learned about it from my parents who said, “You’re going to be having a big night—here, we don’t want to hear complaints about your headache tomorrow,” Every time I go to Brazil, I have more and more orders from friends. It’s like I’m trafficking Engov. Marc Jacobs (right) with Martone. AirBnB has a filter that tells if a place is only for AirBnB or if someone lives there. Most people prefer to go to AirBnBs where there’s no-one [in residence], but I think the opposite. I don’t want to be in a plain apartment decorated with Ikea furniture so it can be rented on AirBnB; I want to open a fridge and see what people eat. I was going to Tel Aviv in the summer of 2014, and all my friends canceled at the last minute, so I found an AirBnB in Yafo, a local neighborhood that wasn’t very touristy. I was on the way up the stairs to the third-floor apartment, and I smelled this delicious cake being cooked. The woman was literally waiting for me, baking a cake—and she was pregnant, very pregnant. I asked when it was due, and she told me, “Tomorrow.” I said, “Oh my God, girl, get outta here—what are you doing?Æ 24 hours later, I’m receiving baby pictures, and we’ve kept in touch since then. I even got to meet the baby.